He’s nostalgic about the past, but Alexander & Baldwin President & CEO Chris Benjamin is careful not to glamorize life on a sugar plantation. It was hard work. But it was attractive to immigrants and helped build the diverse society that defines Hawaii today. Plantations offered housing, stores, doctors, post offices and good wages. Rick Volner Jr., who managed Hawaii’s last surviving sugar plantation, is part of one of those families. His great, great grandparents came from Portugal to Hawaii to work on a sugar plantation. Imported labor was critical to sugar production at the end of the 19th century, when sugar companies turned to Europe and Asia for workers. The first laborers were men who came for 2-year stints. Then families started arriving. Soon, sugar plantations were a mix of workers from Portugal, the Azores, China, Japan and the Philippines. They created a new, blended, English that was a mix of different languages. The new population adopted the parts of the different cultures they liked. They adopted foods and holidays. They married and created new families. Cultures remained distinct but from the laborers attracted by sugar plantations grew a new, national Hawaiian culture that is unlike anything else in America. “A melting pot of all these different cultures kind of taking all the best of everything,” Volner says. The legacy of diversity and acceptance that started in the cane fields lives on today. It’s rare to find someone in Hawaii who is of a single ethnicity. 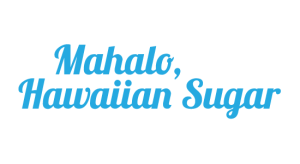 “Without sugar the majority of those ethnicities eventually would have made their way to Hawaii but not in the numbers and not that early on in our history,” Volner says. And there were other benefits this new workforce would soon reap.